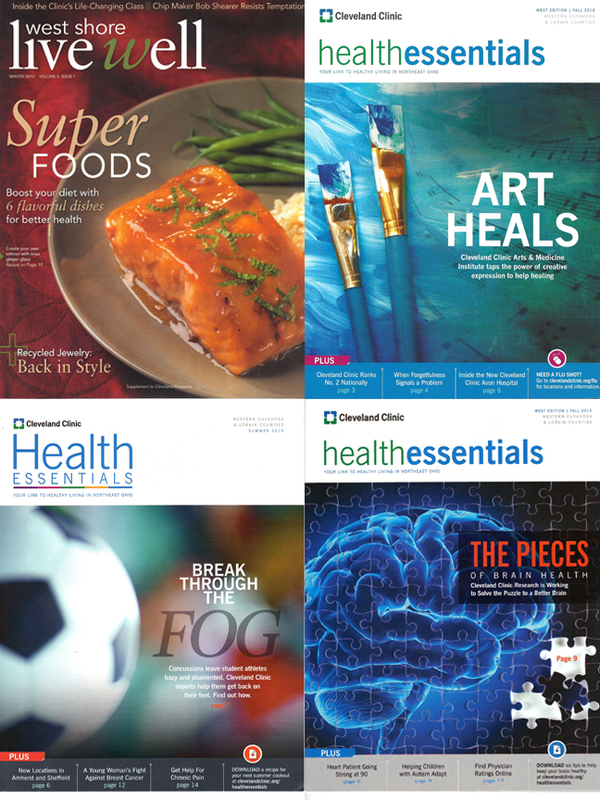 I tell stories that illuminate health victories—survivorship—and shed light on the latest medical advances developing at the world’s top medical centers, including Cleveland Clinic. Health stories can involve translating complex medical information into plain language that consumers can understand—and appreciate. It can also mean connecting with someone who is willing to share a personal health story that can inspire others. In writing about health… I’ve had 16 electrodes glued to my head so I could undergo a sleep study while writing a book for a physician and separate article for Ladies’ Home Journal. I am regularly called on to write health trends features for publications.